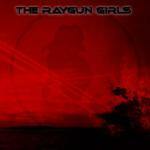 The Raygun Girls is a Hard Rock group that crosses genres with Metal, Goth and Industrial music. 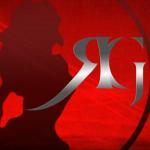 The sound has been compared to Lacuna Coil, Rob Zombie, Killing Joke and Evanescence. Starting in 2004 with Geoff on lead vocals, the group has circled through many members, with Geoff taking a back seat to concentrate on guitar, and letting female vocalists take the lead. 6 years saw the release of 3 full length albums, a record deal and an East Coast tour. In 2012, the group has come back to its guitar driven, groove laden roots with the self-titled album, "The Raygun Girls". Geoff remains the pounding heartbeat of the band writing the music and playing all of the instruments, with guest guitar solos by Peter Watkinson off Death Metal band Abomnium.